We're taking a gamble that if we keep posting rad, summer-time tunes that winter will have to finally die. We brought you a review of Slushy's excellent Pastime Gardens and it scored us an amazing weekend. Now we're trying to keep it going with the help of The Lemons. The Lemons have been brightening up the local scene for the last year with their brand of jangly skippy bubblegum rock. 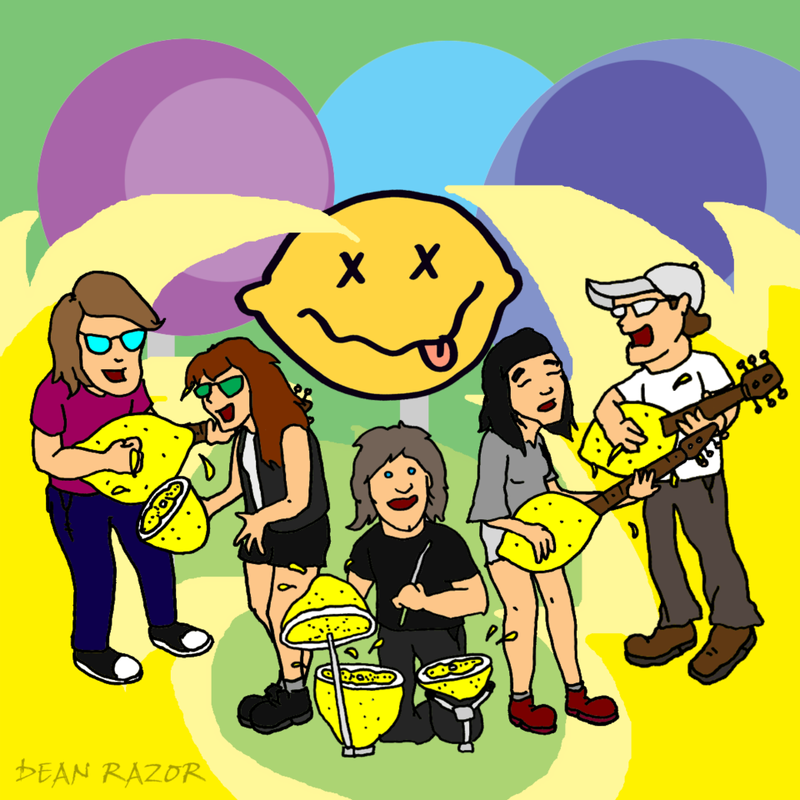 January saw the release of Hello, We're The Lemons, a tape overflowing with playful, cavity-inducing, minute-long jams. They're following that up with a new split 7-inch (with Tokyo's Teen Runnings) on Gary Records. The single is called "Lemoncita," and the band has put together an amazingly kitschy and equally hilarious video for it; one that'll make your day if you like pizza, tacos, aliens, beer, dogs, cats and/or Duke Nukem. That should be pretty much everybody, right? Check out the video below and then order your copy here.